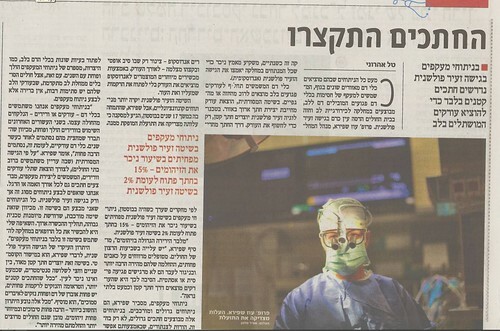 My dad was featured in Haaretz (the Israeli newspaper) yesterday, in an article about some heart surgery techniques. All I’ve got is an image of the article, not the actual text. The article was written by Tal Aharoni. Click on the image to get the high-resolution, readable original.